Ashley and I were having a hard time deciding on the hotel in Bangkok. 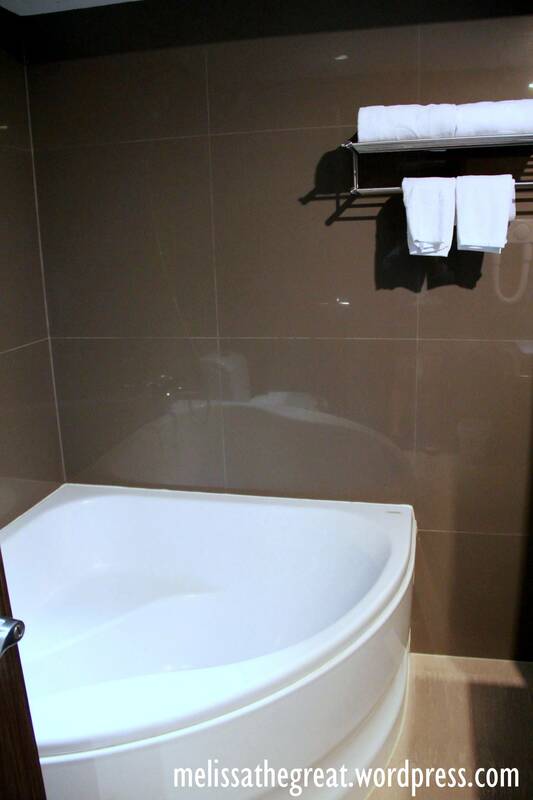 We planned to choose a budget hotel since we would not be spending much time in the hotel other than sleep and shower. We asked for recommendations from friends. Each person giving different recommendation. The more options we have…the more confused we got. 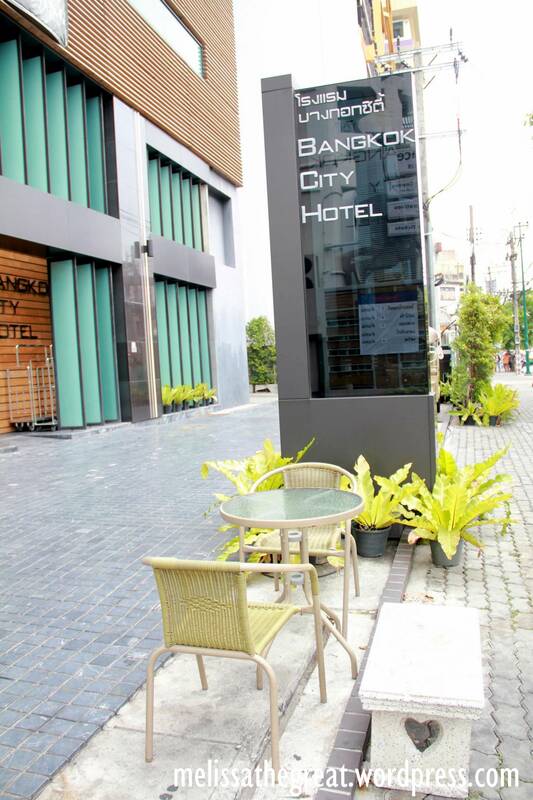 Though its just a budget hotel, there are plenty of choices in Bangkok. My main problem is I couldn’t recognize those road names and I find it difficult to remember. Few weeks before our departing date, Vivian visited Bangkok. She commented about this new hotel (less than 2 years old) is not bad. In terms of room condition, room rates, and location. Moreover its inclusive of breakfast. Some ding dong of here and there, finally we decided to go for Bangkok City Hotel. Then Ashley proceed with the online reservation. 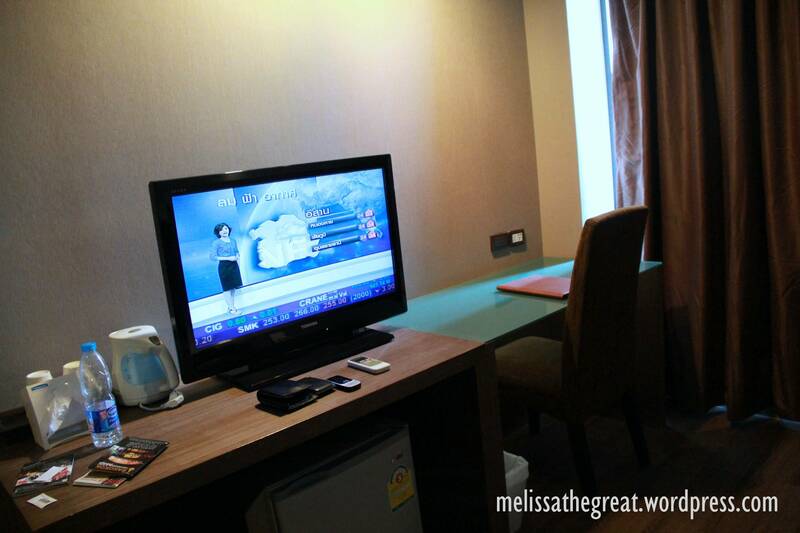 Standard Room for 2 (inclusive of breakfast) for just 1190 baht. Front view of the Hotel. How to get here from Suvarnabhumi Airport? 3 km from the Grand Palace, 3 km from the Temple of the Emerald Buddha, the Temple of the Reclining Buddha, and 2 km from the Golden Mount, 1.0 km from the largest IT shopping mall, the Pantip Plaza, and the Siam Center. Corridor along the rooms. Please get a room at a higher floor. Else you might find it alil noisy as the hotel is located along a busy road. Our room was at 9th floor…So, it was alright. Air conditioning, Television, Satellite television, In-house movie (got English and Chinese Channel too) , Free Wifi, Bathtub with Hot & Cold water, Voltage 220v using Japanese or US outlet, Safety Box in room, Hair Dryer and toiletries, Kettle without coffee or tea nor cups. Just before the door, its a cupboard for you to hang your clothes. Well, talking about breakfast…it was just average. Everyday also serve the same food. Day 1, food on my plate was like Mt. Everest, Day 2 became Mt. Kinabalu…Day 3 decreasing..till the last day..just like the bukit behind my house. *flat* Anyway…for the price we paid..we can’t complain much about the food. BTS Ratchathewi Station is just within 10 minutes walk. 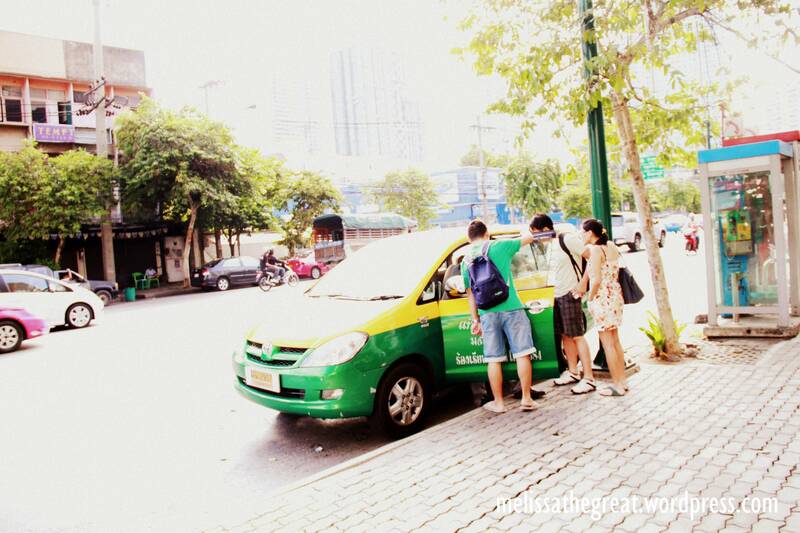 If you are lazy to walk, you can easily stop a cab in front of the hotel. Else you also can get some help from the bellboy to hire a cab. Their bellboy is quite helpful. Even help us check the taxi whether we left anything behind after we got down from the taxi. Other than that, there’s a 7-11 2 doors away from the hotel. Food is not a problem here too…especially at night. There are many restaurant along Petchburi Road serving local Thai food. The hotel location. Travel time from airport to Bangkok City Hotel is about 30-40 minutes drive on road. I am quite satisfied with this hotel. Will I return in future? YES! For more info, click on their WEBSITE. LOL .. mount everest.. then become bukit near your house? wow u thought you empty the tray? 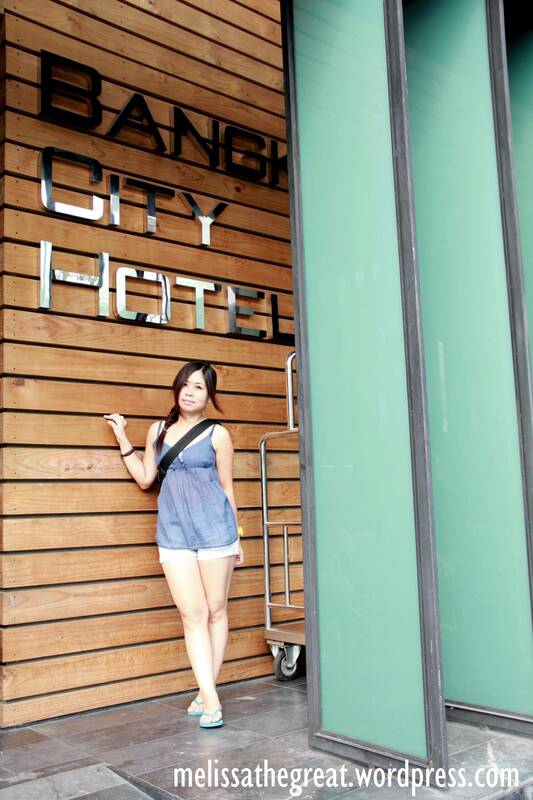 the hotel’s room rate is very reasonable.. about RM120/night..
hey aunty.. why you looks so tired in your last pic? ya lo.. the face looks so pucat like that? Looks good. Hotel food, always like that. In KL, by Day 3, I would be heading to the coffee shop next door for char siew fan or wanton mee. wyyv- ya…the room is spacious and its clean up everyday! Food Dreams – Mayb cos this hotel is still new. So, everything would still in good condition. Anyway…r u satisfied with the hotel u stayed? Okay okay will put on my list. Thanks for sharing. I stayed here twice. And I will come back. 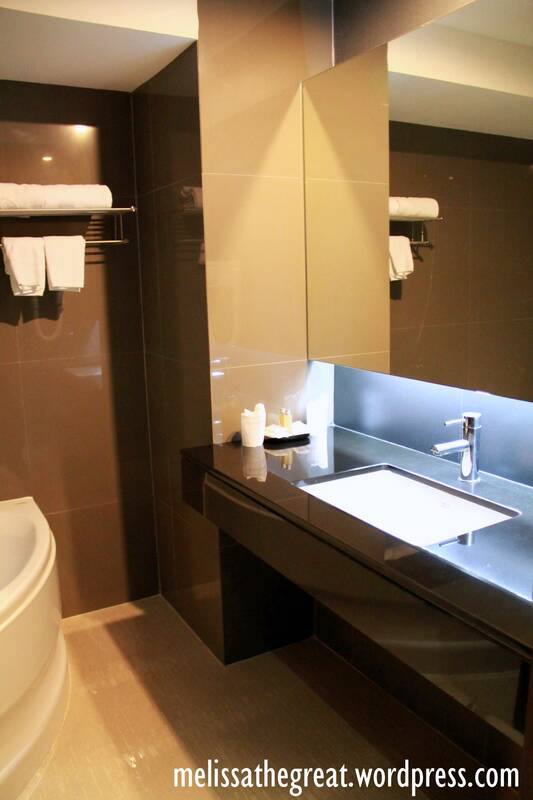 The hotel looks spick and span! Hi, will be staying in the hotel too. And did you took cab to platinum or walk? Hi, thinking of staying in this hotel too. 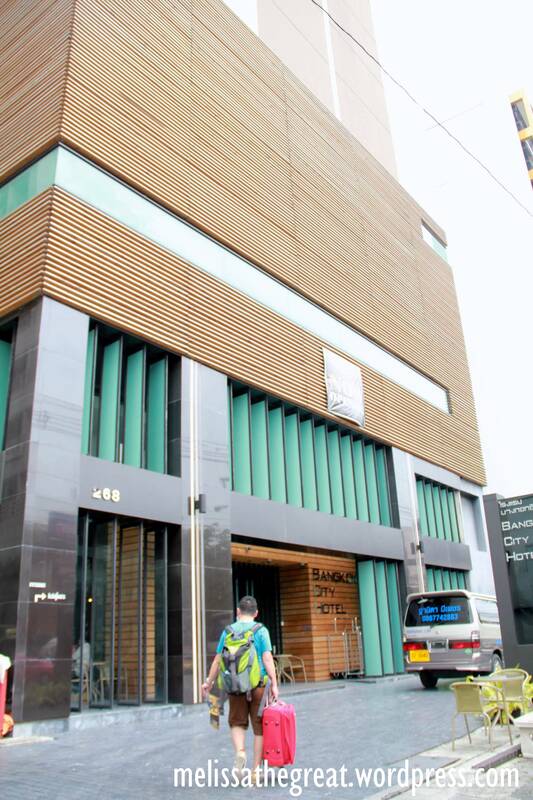 Wanna ask if this hotel is located near shopping mall or night markets? And wanna ask if the room is big enough and do the staff there quite strict to check the number of people staying in the room? Cause was thinking of squeezing more ppl in one room to save money. Ehehe. Hi Rose. Thanks for dropping by. Here are the list of nearest shopping malls around Bangkok City Hotel.